The Red Cross has called for protection of civilians during conflict. “The humanitarian situation in the country is catastrophic, the population has been brought to the brink of collapse. The movement of the population is growing because of [the ongoing] conflicts and hostilities,” Hodeib admitted. According to the ICRC representative, humanitarian organizations can neither feed millions of Yemenis, nor provide access to healthcare for them. “Twenty million Yemeni people are in need of [humanitarian] aid. The ICRC has always called upon all parties of the conflict to [find] a political solution… in order to curb worsening humanitarian conditions,” she added. The Saudi-led coalition has been waging a brutal military campaign in Yemen since March 2015, in an attempt to restore president Hadi to power. 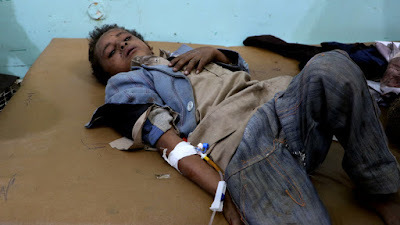 Three years of Saudi-led bombardment and a blockade of Yemen has led to a catastrophic situation in the country, with 22 million people, or 80 percent of the population, in need of humanitarian aid, while more than half of the country is left without basic medical services. Human rights organisations have been accusing the coalition of indiscriminate shelling of civilians and infrastructure.